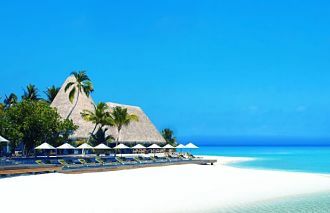 The Vivanta is Coral Reef Resort, stung out like a pearl necklace astride the azure ocean and alongside its own reef and atoll on Hembadhu Island which is less than 32 kms from the Male’ airport. Flights into fly into Malé airport are regular. 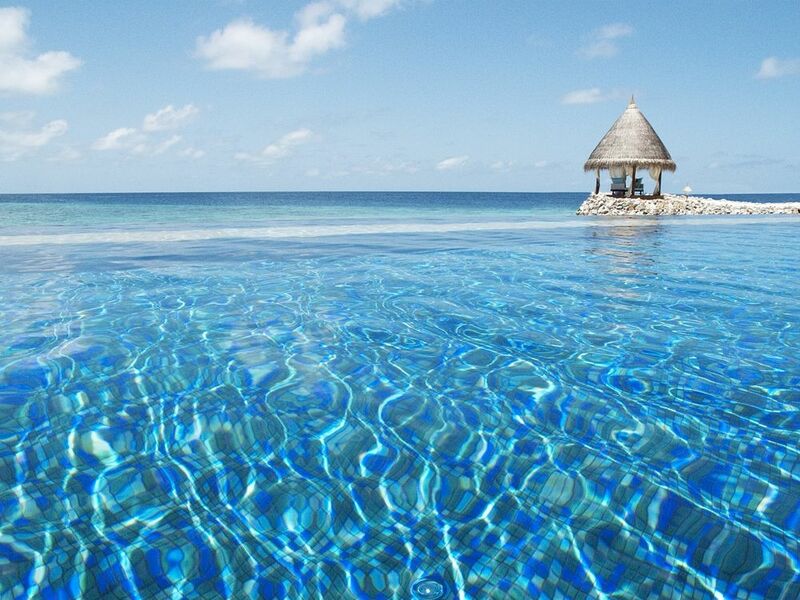 A luxury speedboat is the only way to get to Hembadhu Island, where you arrive at the Vivanta Coral Reef. 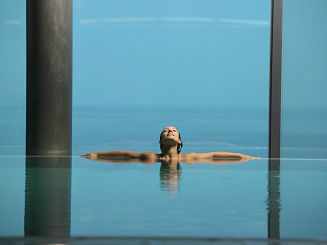 Vivanta creates experiences that will intrigue, invigorate and inspire you. 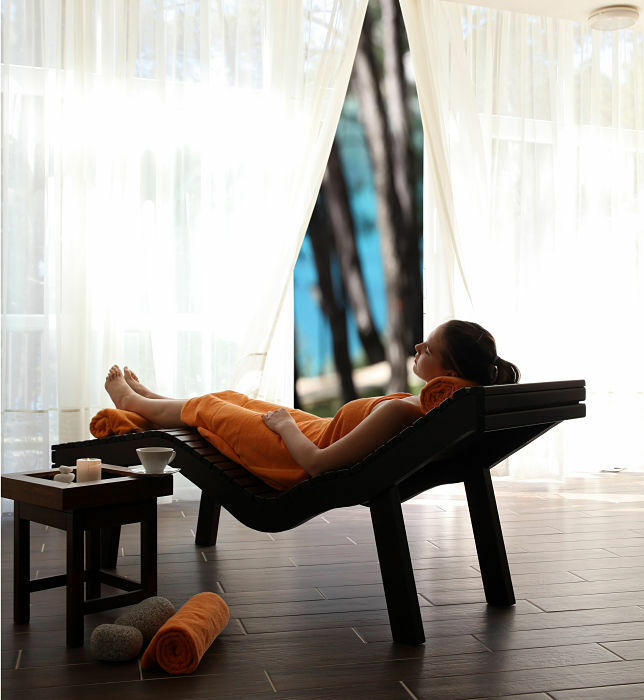 Divers, beach bums, and honeymooners are all welcome here.Stylish and sophisticated, Vivanta delivers a premium hotel and spa experience in an idyllic beach setting with imagination, energy and efficiency. Contemporary luxury trimmed with cool informality helps you to create your own journey and celebrate the good things in life. 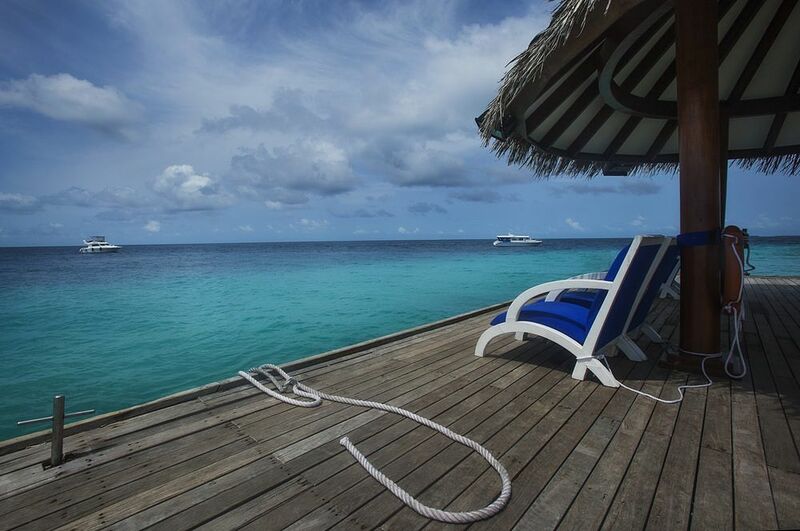 The resort is a diver's dream destination with various diving sites and its own reef and shipwreck to explore. 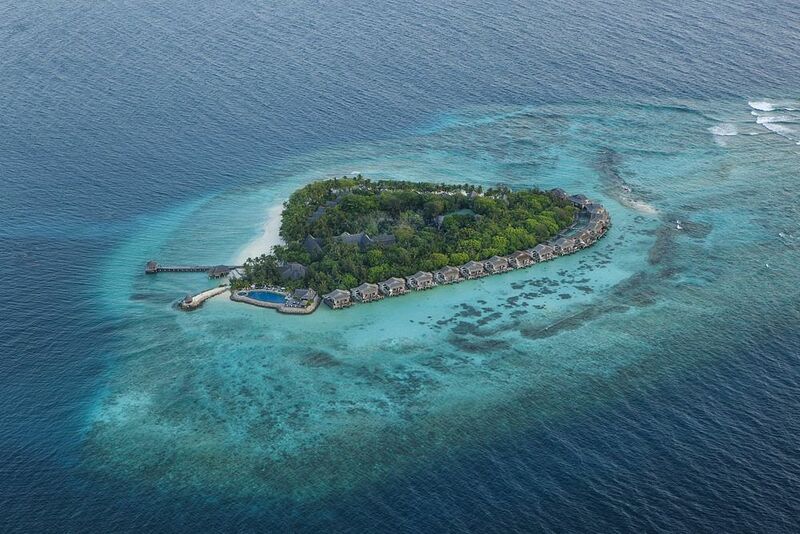 For those who prefer to stay on dry land, the view of the lagoon dotted with water villas is hypnotic. 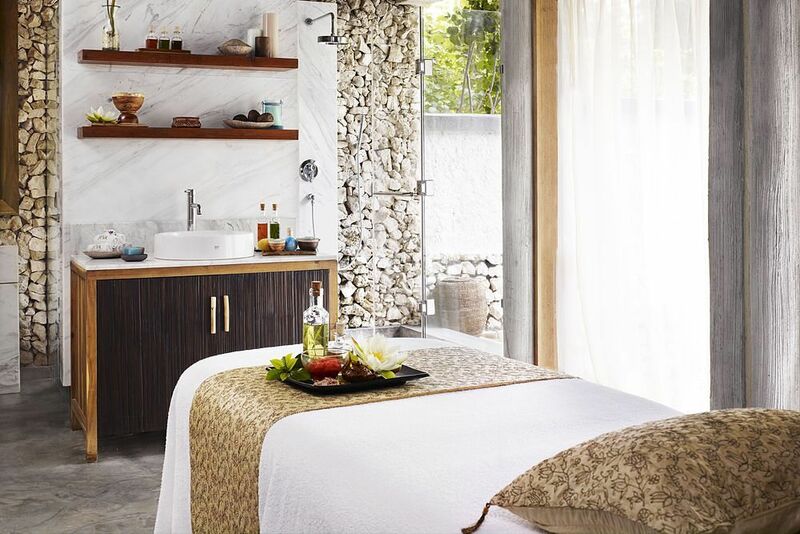 Guests can also indulge in time honored therapies still practiced in parts of India within the soothing walls of the Jiva Spa. 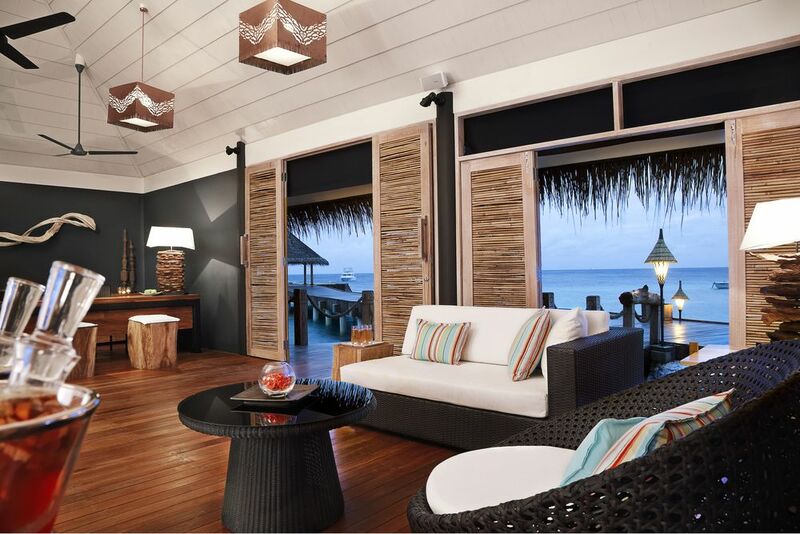 These 12 elegantly styled, spacious Beach Villas are 58 square metres with thatched roofs, offering total privacy for your tropical getaway. Designed in hushed pastels with a large comfortable sea-facing bed, our airy Superior Charm Beach Villas work their magic with brilliant views; outdoor showers uniquely designed open space. 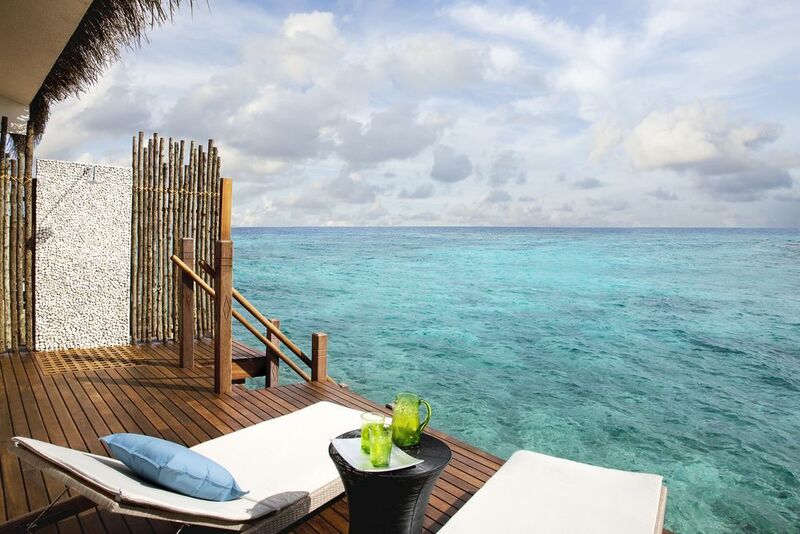 Our 32 Premium Indulgence Water Villas beckon. 85 square metres destined to be your personal paradise with a thatched roof, and outer deck overlooking the water with sun loungers and space for dinner. The indoor/outdoor experience wouldn't be complete with an open air shower and wide wooden ladder going straight into the lagoon. 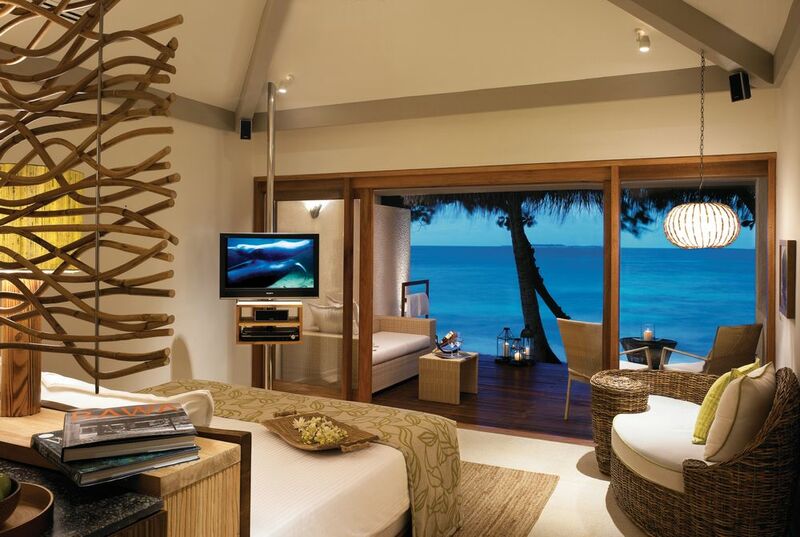 You've found the most remarkable Suite on the island. 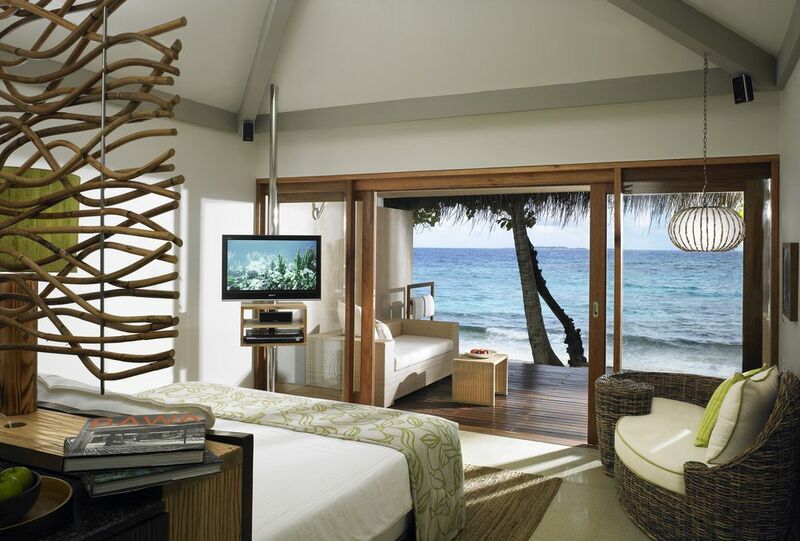 Nirvana Beach Suite becomes whatever experience you seek. Your personal haven. An unmatched honeymoon. Your family's favourite holiday. Our two Presidential Nirvana Suites are utterly remarkable, two-level, duplex villas with thatched roofs and the works! Each has two floors, two bedrooms and a large living area from which you can take in the immense views of the Indian Ocean outside. 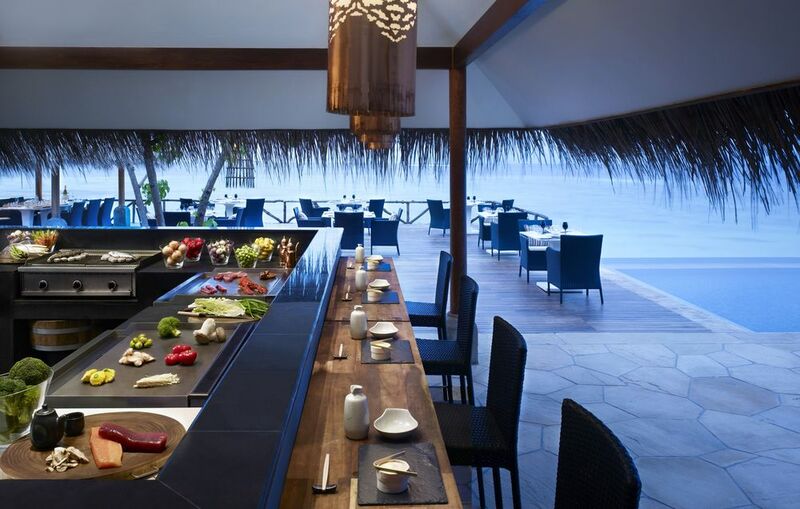 At Vivanta by Taj - Coral Reef you feast. 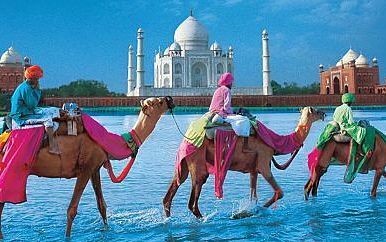 On the scenery, the culture, and most especially on the cuisine. Executive Chef, Richard Thompson has masterminded a diverse range of menus across his three restaurants. The focus is on fresh regional and international fare. From light bites to several indulgent courses, Richard skillfully guides diners through memorable holiday meals. Small private dining area, in a secluded section of the restaurant; offers privacy; can accommodate about 4 - 6 persons. The chef can tailor make menus and pair them with new world wines to match guests requirements. We'll whisk you out to a secret sandbank with nothing but the gentle lapping of waves to intrude on your privacy. Indulge in the experience of sitting at the edge of the world with a cherished companion, the sun setting on an infinite horizon and, if you get lucky, shimmering moonlight. Arrange for a festive In-Villa barbeque evening with either a Chef Valet on hand or a 'DIY BBQ' with pre-marinated meats for guests to get involved. Our chefs set up the barbeque kettle, meats and salads for you. You get the joy of grilling and then of course savouring the fruits of your labour. Eating under the sky and stars is a must. Thus Vivanta by Taj presents Open - The Grill, an al fresco dining experience overlooking the lagoon and the swimming pool. 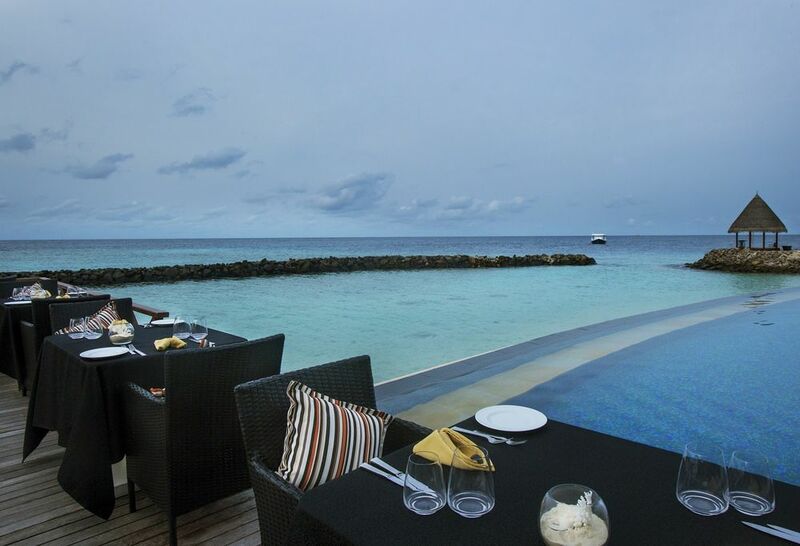 Guests are treated to a newly introduced South American concept, first time in Maldives. South and Central American cuisine is soulful and full of robust flavors from the usage of a variety of dry chilies to its simplistic approach to plate presentations. 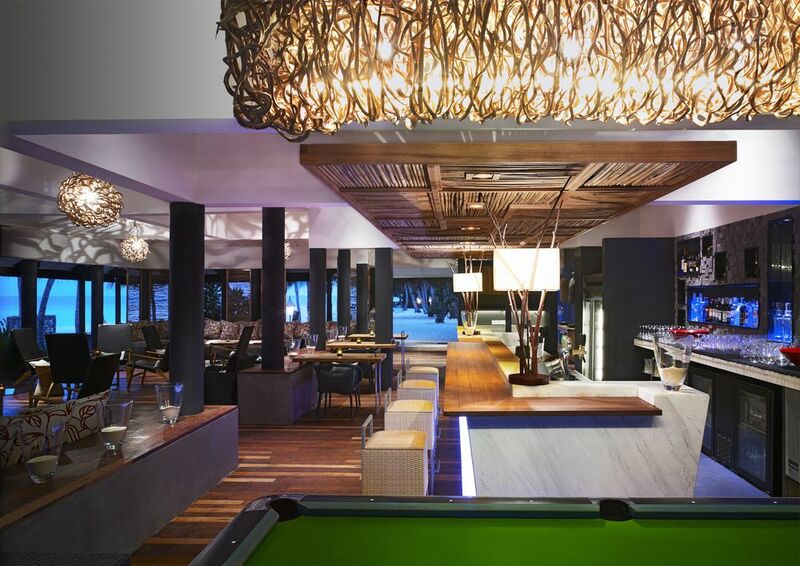 Overlooking our windswept infinity swimming pool and house reef, the Reef bar is designed to soothe the senses. 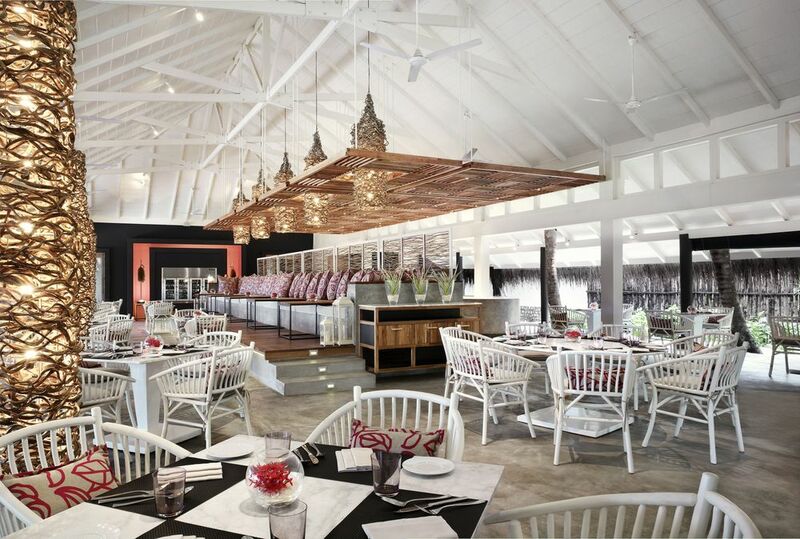 Soak in the relaxed groove of this breezy open-air bar with live entertainment. Cool down. Chill out. Soak in the vibrant, modern scene. Reef Bar is where guests gather for the perfect evening of conversation and unexpected diversions. Sometimes it's a disco, other nights a magic show.